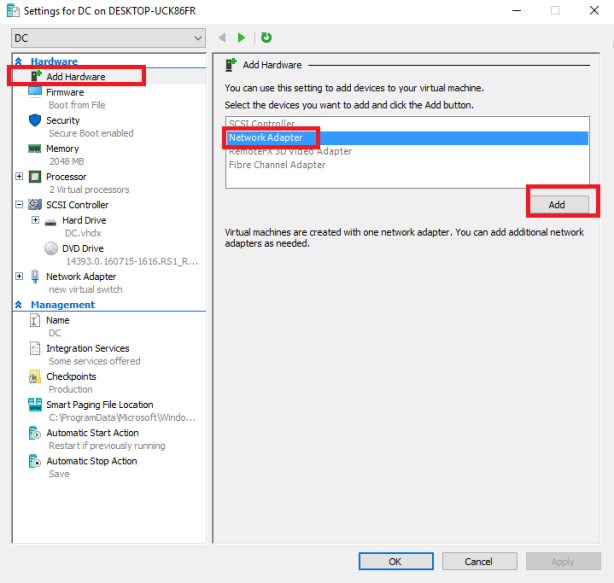 NIC Teaming, also known as load balancing and failover (LBFO), allows multiple network adapters on a computer to be placed into a team for bandwidth aggregation and network traffic failover in order to prevent connectivity loss in the event of a network component failure. 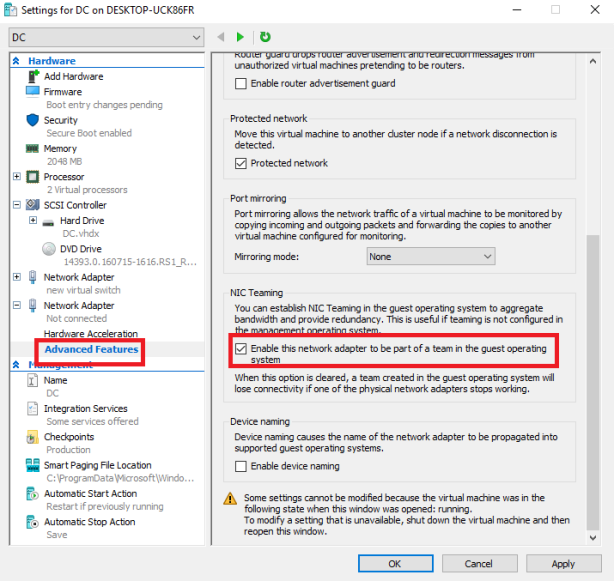 This article will guide you through the steps to create a NIC-Teaming in Hyper-v on Windows Server 2016. 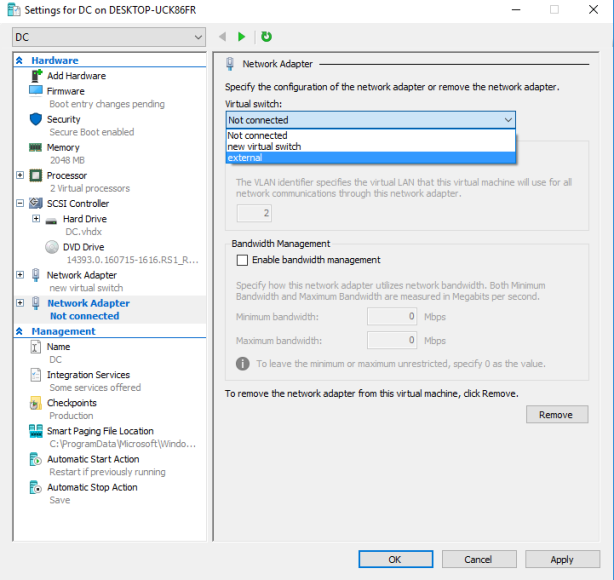 As an example, we’ll create a virtual switch and later we will add this vSwitch to VM while enabling NIC teaming for new switch. 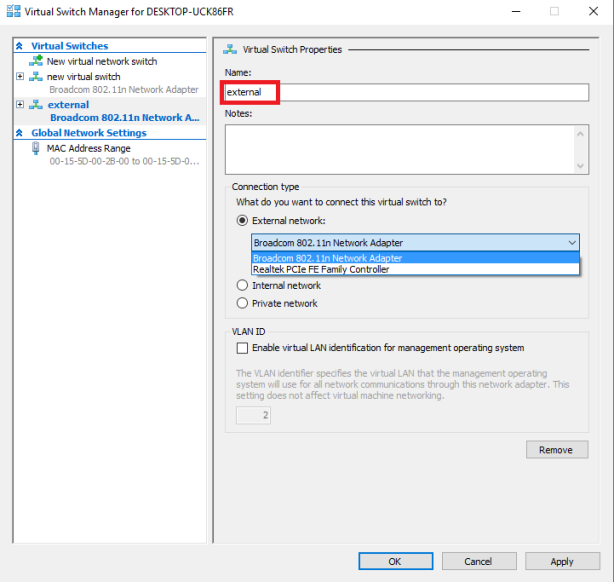 To begin with the configuration, Open up Hyper-V console then click Virtual Switch Manager as shown in image below. 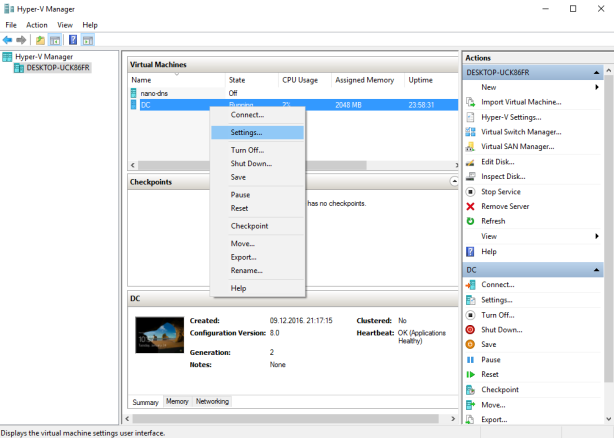 Internal: Provides communication between virtual machines on the same Hyper-V server, and between the virtual machines and the management host operating system. 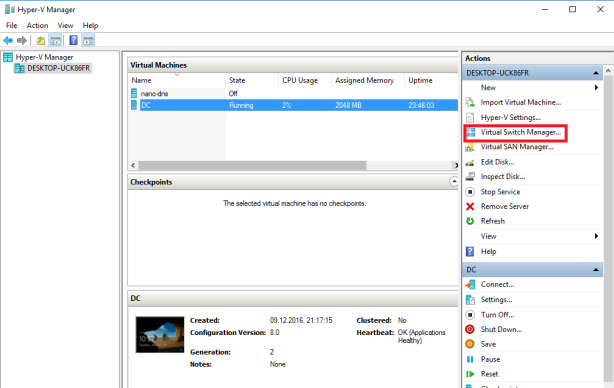 Private: Only allows communication between virtual machines on the same Hyper-V server. Done. 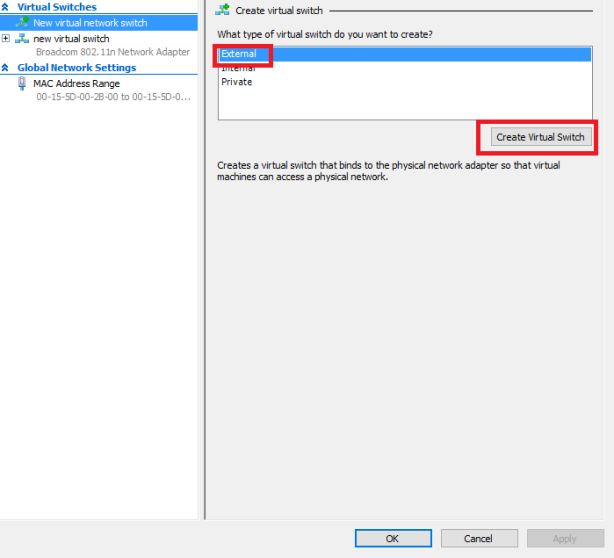 I hope this article will be helpful to perform similar tasks in your environment.